Add multiple custom payment gateways to WooCommerce. This plugin is a premium version of free "Custom Payment Gateways for WooCommerce" plugin. Custom Payment Gateways for WooCommerce Pro plugin lets you add multiple custom payment gateways to WooCommerce. With this plugin you can add any number of custom payment gateways to WooCommerce. 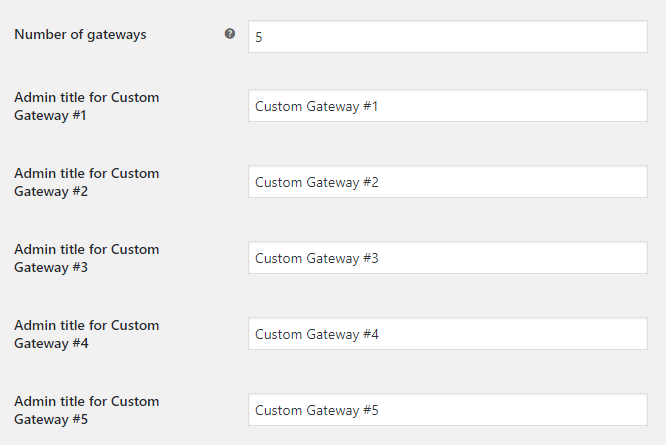 Just go to “WooCommerce > Settings > Custom Payment Gateways”, set “Number of gateways” option to total number of gateways you want to add and click “Save changes” button. After that on the same screen you will be able to set admin titles for each gateway. Title – Controls the title which the user sees during checkout. Description – Payment method description that the customer will see on your checkout. Instructions – Instructions that will be added to the thank you page. Email instructions – Instructions that will be added to the emails. 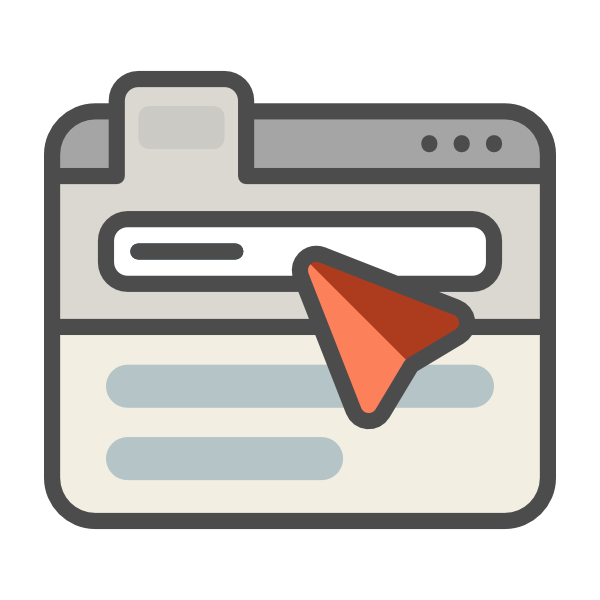 Icon – If you want to show an image next to the gateway’s name on the frontend, enter a URL to an image. Enable for shipping methods – If gateway is only available for certain shipping methods, set it up here. Leave blank to enable for all methods. Accept for virtual orders – Do accept gateway if the order is virtual. Default order status – In case you need more custom order statuses – we suggest using free Custom Order Status for WooCommerce plugin. Send additional emails – Send additional emails to admin and/or customer. This may help if you are using pending or custom default order status and not getting new order emails. Custom return URL (Thank You page) – Full URL. Optional. Leave blank to use default URL. Available placeholders: %order_id%, %order_key%. Minimum order amount – If you want to set minimum order amount (excluding fees) to show this gateway on frontend, enter a number here. Set to 0 to disable. This plugin works like a charm! I installed the FREE version initially but then I loved it and upgraded to PRO. Good job guys please don’t be tired to continuously support this plugin. 13 thoughts on "Custom Payment Gateways for WooCommerce"
I have question, I need the item name and individual price to be sent to the third party. Hi, i sent you a email, i can’t buy a pro version!!! why? It was a bug on our site – sorry for that. Now Pro version is available for purchase. Just installed, activated, enabled and wrote all texts, but then never shown on the checkout., when it would be listed together with all my other gateways. Is there anything worng with the current version? I use WordPress 4.9.1 running Rehub child theme theme. Hi, I want to buy this plugin but i need to clear some points on it. 2.Are all the payment methods work as same as the one free method provided by you? Hi, I more or less have the same question as Rama. 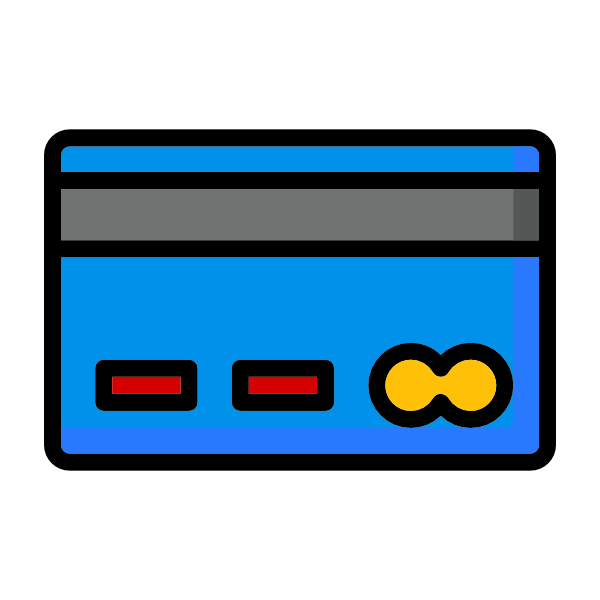 With the paid version can a payment gateway be added using a gateway API login with transaction key (such as using a payment gateway emulator like what is offered by Authorize.net), or is it similar to the free version where it gives instructions to the customer on how to pay such as offline or externally? Hi, i buy your plugin Custom Payment Gateways for WooCommerce Pro but how i different another email than admin? 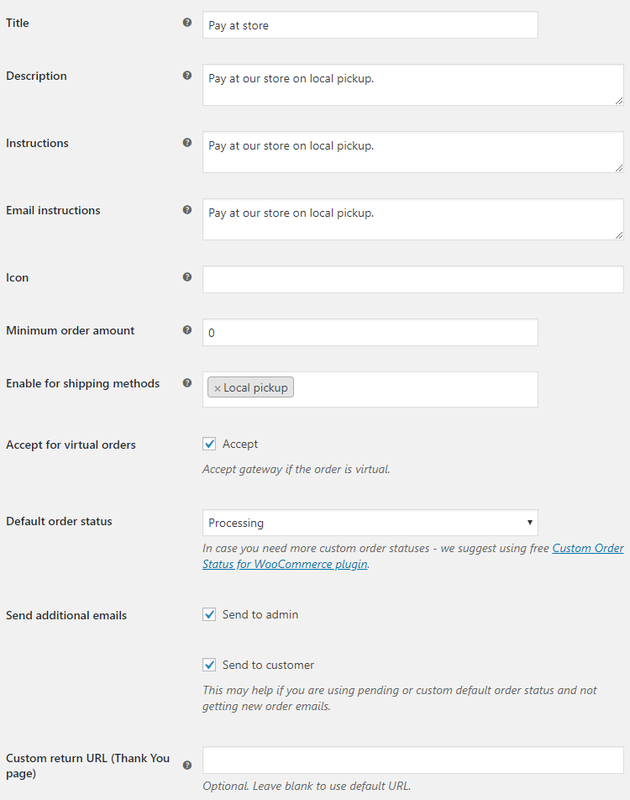 Send to admin checkbox in Send additional emails option – sent emails are standard WooCommerce “New order” emails, so you can add/change recipients in “WooCommerce > Settings > Emails > New order > Recipient(s)”. This is not directly related to the question, but: Send to customer checkbox in Send additional emails option – again sent emails are standard WooCommerce “Processing order” emails, and although recipient is always customer and can’t be changed, you can change other email settings (subject, heading etc.) in “WooCommerce > Settings > Emails > Processing order”. Can someone confirm if this is working on the latest version of WooCommerce? It seems the Pro version does not work on the latest version. I’ve just rechecked it on my test server (WooCommerce v3.5.4 and WordPress v5.0.3) – it seems to be working fine here. What issues are you having? Custom payment gateways are not shown at all? Or you can’t finish the order? Or something else? P.S. If you wish you can create/share an admin account to your server (WP and preferably FTP), so I could log in and check what’s going on. My private email is [email protected]. Yes, the fields at checkout no longer show. I’ll shoot you access when I get a second. Thanks man. * Dev - Custom return URL (Thank You page) - %order_id% and %order_key% placeholders added. alg_wc_custom_payment_gateway_custom_return_url filter added. * Fix - "Text Domain" renamed to custom-payment-gateways-woocommerce. * Dev - Advanced Options - "Load shipping method instances" option added. * Dev - Empty values are now allowed in custom payment gateway's "Title" and "Description". * Dev - Enable for shipping methods - Listing all shipping instances (i.e. by shipping zones) now (instead of just shipping methods). * Dev - Admin settings restyled and descriptions updated. * Dev - readme.txt updated. * Dev - WooCommerce v3 compatibility - reduce_order_stock() replaced with wc_reduce_stock_levels(). * Dev - WooCommerce v3 compatibility - Order status, payment method and shipping method - Getting with functions instead of accessing properties directly. * Dev - Autoloading plugin options. * Dev - Link updated from http://coder.fm to https://wpcodefactory.com. * Dev - Plugin header ("Text Domain" etc.) updated.